The brewing and gastropub revolution has gotten a firm foothold in Barcelona with several new locales opening their doors in the past few years. And most, if not all, seem to be bustling with happy clients excited to pour a cold one back while enjoying some delectable bites. The gastropub concept born in the 1990s - where the simple notion of actually providing and pairing delicious foods with the microbrews you consume - is now almost a standard, and rightfully so. 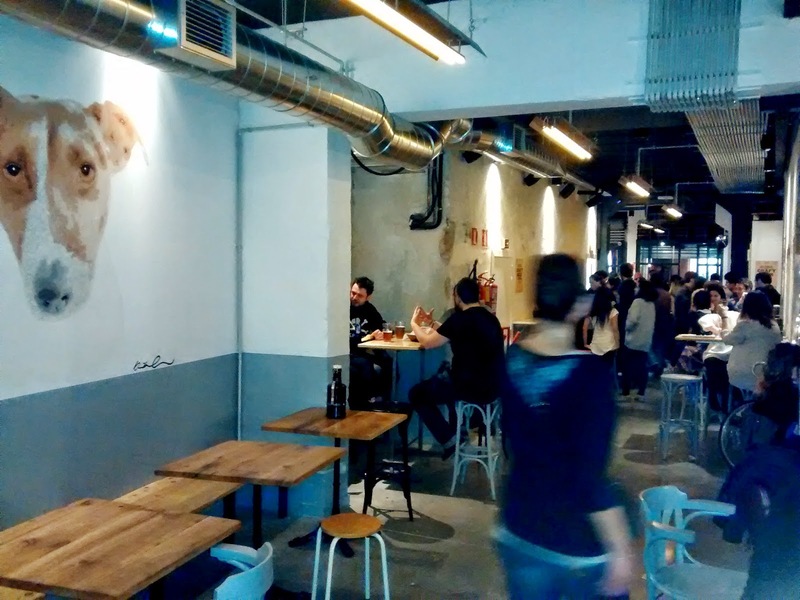 Garage Beer Company has been around for a few months and it’s already all the buzz in the Eixample district of the city. In what used to be an old bookstore, years closed and forgotten, you will find a lively establishment housing art, graffiti, battered walls, funky furniture, and illustrative designs - giving the place a distinctive and warm personality. James, one of the co-founders, comes from a family that has had decades of experience perfecting this craft. You could almost say beer is in their blood. He told me that the idea behind the place was to provide a unique venue for beer aficionados to chill out and enjoy a great locally produced brew and flavory food. The name Garage Beer also has an explanation: before opening this locale they had the fermentation drums and were testing out their brewing methods in, you guessed it, a small garage in the heart of Barcelona. 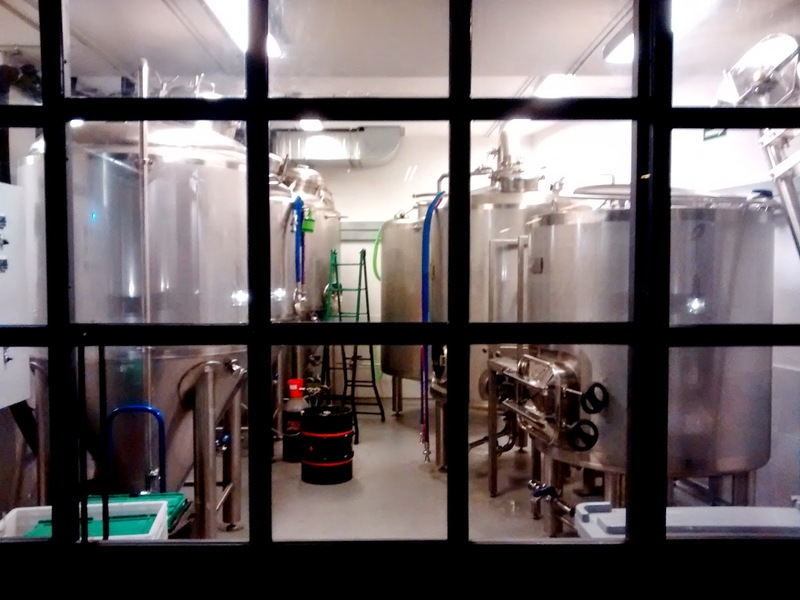 Besides a nice selection of craft artisan beers from other brands, they brews their own beers in-house with a small setup capable of producing some 20 delectable hectoliters of beer a week. This volume is expected to increase as the demand for their beers will lead them to invest in more fermentation tanks and production units. I’ve tried most of their beers and they are all unique and tasty. My personal favorite is the Karma Winter Ale, a beer that has had a slow fermentation process that with a little work of magic makes it elegant and full bodied with a fruity and buttery taste. If Pale Ales are more your thing, try the Riba, one of the house favorites. The food menú offers perfect companions to their premium beers. You can find savory ecological cheeses from the Catalan Pyrenees with tomato marmalade, Coca (a Catalan flatbread) with roasted zucchini, aged goat cheese, and pesto; or try their Porchetta sandwich with eggplant, sun-dried tomatoes and rucula (one of the best selling dishes). The verdict? All delicious. Certainly a place not to be missed if you ever find yourself thirsty and hungry.